Before now, the provision of universities was the sole duty of the government at both the Federal and State level. However, the quest for further development has led to the establishment of private universities in Nigeria. Igbinedion University which was founded by Sir Gabriel Osawaru Iginediuon was the first private university to be issued licensed in 1999. Ever since then, a lot of private universities have emerged. These private universities have trained and inculcated both moral and knowledge on thousands of graduates in Nigeria. Indubitably, some of these private universities have outranked and performed far better than universities built by the state and federal universities. Private universities like Covenant Universities and Babcock universities are performing extremely well. These universities have quality facilities and intelligent lecturers. What is the Salary Scale of Lecturers in the Private Universities? 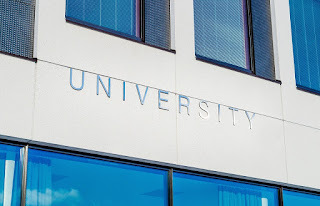 Before discussing the remunerations or emoluments of lecturers in private universities, it is pertinent that you are aware of the different private universities that are established in Nigeria. There is not really any form of a regulatory body in charge of the salary scheme offered to lecturers in private universities offering teaching service. As a result of this, there is nothing like a fixed salary scheme for lecturers found in private universities. In Nigeria, we are aware of the very high school fees that are imposed on students studying in private universities of Nigeria. Some private universities charge as high as N400, 000 naira per year on their students. In other words, the school charges imposed by private universities would pale into insignificance when compared to the federal or state universities of Nigeria in terms of an affordable price. Private universities in Nigeria is however arguably believed to pay lecturers much higher than lecturers in the State and Federal universities of Nigeria. No Response yet for "Salary Structure of lecturers in Private universities in Nigeria"